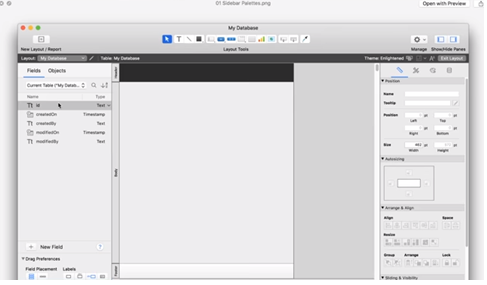 Redesigned Layouts – FileMaker 17 has got an improved layout design which is more user-friendly. The new version has got the Field tab, Object tab and the Inspector all in a single pane. The new layout is very much responsive. When you move from browse mode to layout mode, the selected panes will slide out automatically. Sensor support – The new version of FileMaker enables mobile apps to collect data from IOS sensors on the iPad or iPhones. Data captured includes air pressure, location, barometer, accelerometer, battery level etc. The drag and drop function is introduced for sharing of files, photos, links etc between two apps. FileMaker Admin Console – The new FileMaker admin console is made more responsive and has got a simpler User Interface. The main objective behind it is to enable hassle-free administration of the custom apps. 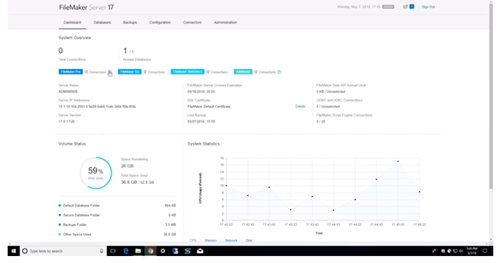 You can now see a graphical representation of the system usage and get more control over the backups. FileMaker Data Migration tool – The Data Migration tool in FileMaker 17 helps in the fast deployment of custom apps. Earlier the migration of date from one FileMaker file to another used to take a lot of time. But now due to the data migration tool, a large amount of data can be migrated within a matter of few minutes or even seconds. 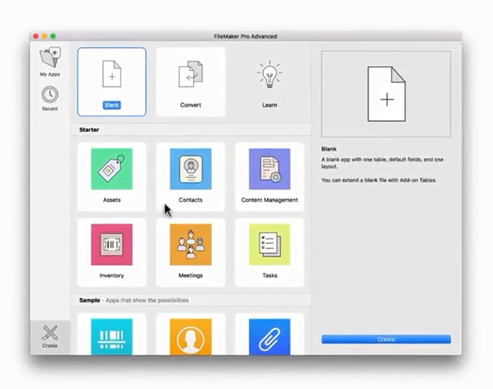 This tool is available through the FileMaker Developer Subscription. Starter apps – FileMaker Pro Advanced has made it easy for the non-developers community to jump-start their development of customized apps. The new platform has around half a dozen starter apps. All are designed to develop different categories of custom apps. They are – Assets, Contacts, Content management, Inventory, Meetings and Tasks. One can easily add fields or tables and customize the app according to the need.